What is Condylar Fracture: Fracture of the mandible in the Condylar region which can be due to Direct or indirect contact which can be Unilateral or Bilateral Fracture. Condylar fracture is caused mainly due to Trauma, and the various types of Condylar fractures are caused due to different types of trauma on various locations. In case of Bilateral Condylar fracture the location of trauma is on the Symphysis region of the Mandible when there is a fall mostly face first. In case of unilateral Condylar Fracture the location of injury is either directly on the condyle or on one side of the symphysis. 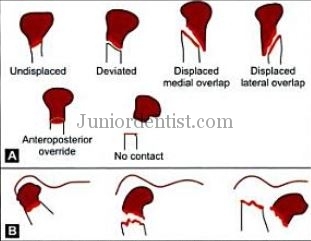 Here we are going to discuss various Classifications of Condylar Fractures given by different Dental Surgeons.